The meetings are usually held towards the beginning of each month. Click on the front page image below to open the latest issue as a pdf in a new window or right-click on it and choose Save as, Save target as, or Save link as (depending on your setup) to download it to your computer. These files are usually about 8MB in size. 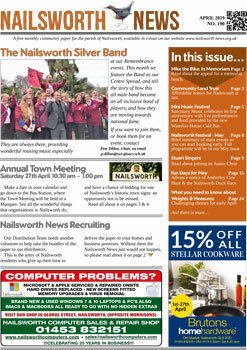 © 2019 Nailsworth News. All rights reserved.